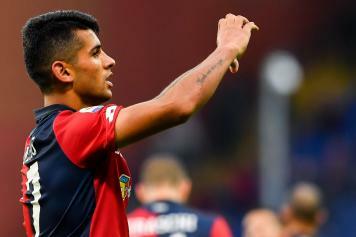 Serie A giants Juventus have reached an agreement to sign Genoa youngster Cristian Romero. The bianconeri have been interested in the defender since this past January transfer window, when negotiations were ongoing to send Stefano Sturaro to Genoa and land Romero in a possible swap deal. Calciomercato exclusively understand that the Old Lady have reached an economic agreement to sign the 20-year-old Argentine, with a fee in excess of 30 million euros now agreed, including bonuses. However, the player will stay at Genoa till the end of the season because the window has ended and Genoa are desperate to keep him till the summer before letting him go for a good fee. It is also possible that the player stays with the rossoblu till the summer of 2020, but Juve are still on the table for deciding when they get the player. It could also be 2021, but talks on that part are still ongoing. Romero has made 14 appearances in the Serie A this season, scoring once.